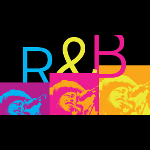 BAM R&B Festival at MetroTech is a free outdoor concert series in downtown Brooklyn featuring the legends and rising stars of R&B and world music. The BAM Rhythm & Blues Festival at MetroTech concert stage is located on the lawn at MetroTech Commons. MetroTech Commons is situated in the Civic Center/Borough Hall area of Downtown Brooklyn at the corner of Flatbush and Myrtle Avenues.